River east of this marker. Illinois militia accompanying forces under General Henry Atkinson during the Black Hawk War. political address in Hanchett's Hall at the invitation of the Beloit Republican Club. He spoke the same evening in Janesville and spent the weekend as a guest in the home of William M. Tallman. 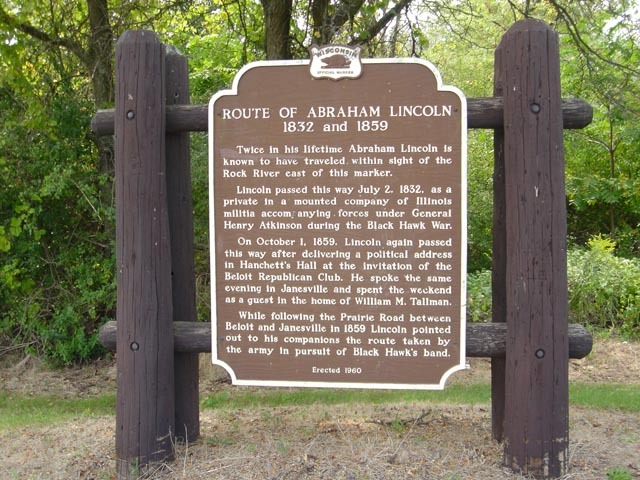 Lincoln pointed out to his companions the route taken by the army in pursuit of Black Hawk's band.